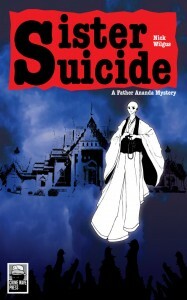 Suicide Sister, the second installment of the Father Ananda series sees the Bangkok based Buddhist monk and his sidekick Jak travel to the Thai hinterlands to investigate the mysterious death of a nun in a Buddhist theme park, popular for its garish depictions of hell. As soon as the reluctant sleuth arrives at the monastery connected to the theme park, more mysterious deaths occur. Neither the abbot nor the police have any appetite to investigate and it is up to the ever curious Ananda to get to the bottom of the temple’s darkest secrets. I don’t want to spoil it, so I won’t tell you what these are, suffice to say they involve crime and vested interests. Author Nick Wilgus spins a sensitive tale of Buddhism in modern Thailand in the guise of a slightly twee whodunit with a humanistic outlook, in which he takes a wry look at organized religion and the day to day realities in the Land of Smiles. A wonderful second part in the series: the modest wisdom and genuine self doubt of the principal character – a kind of spiritual Miss Marple – are truly endearing. The publication of Sister Suicide follows the reissue of the first Father Ananda title Mindfulness and Murder in October 2012. Check out all the Crime Wave Press titles currently available!! !